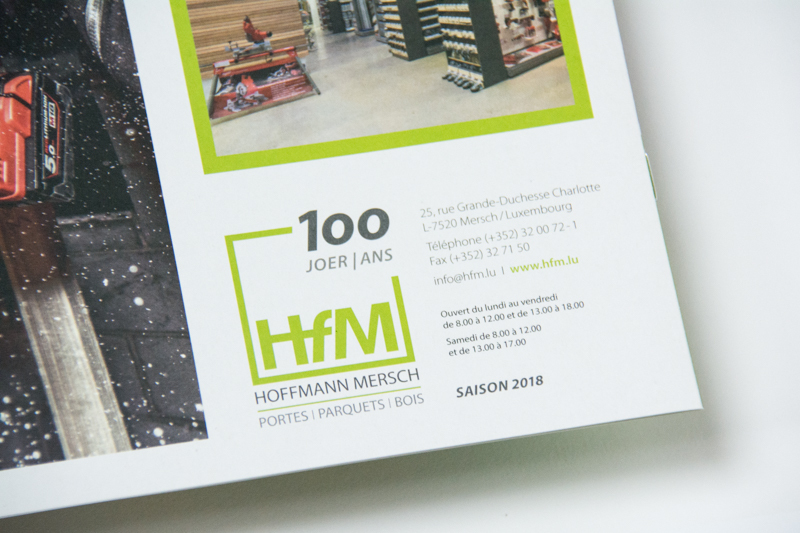 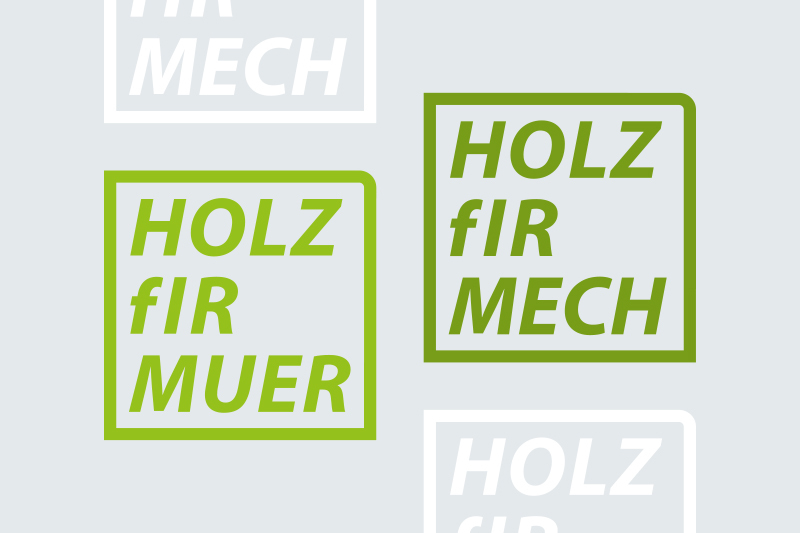 Client: HfM – Hoffmann Mersch // In preparation for the 2018 season, we were able to assert ourselves with our ideas for visual identity as design partner for the wood trade Hoffmann Mersch. 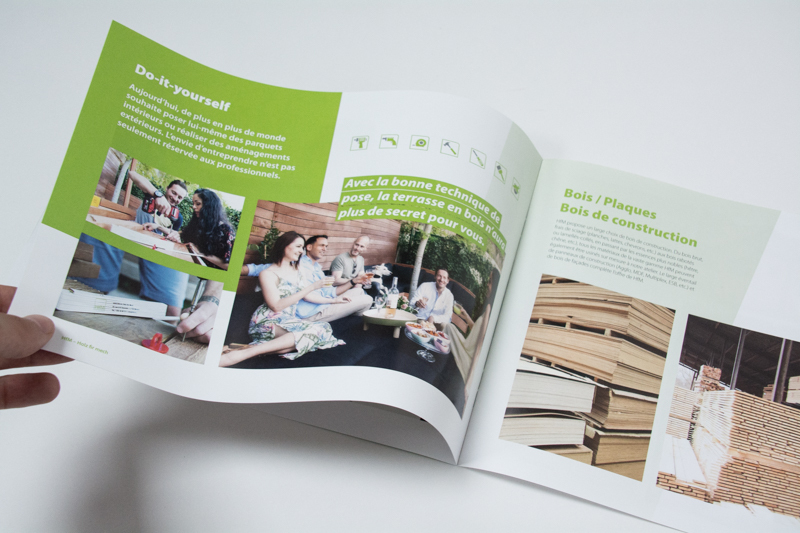 In cooperation with our partner SiYou, we could bring in our thoughts on the design strategy. 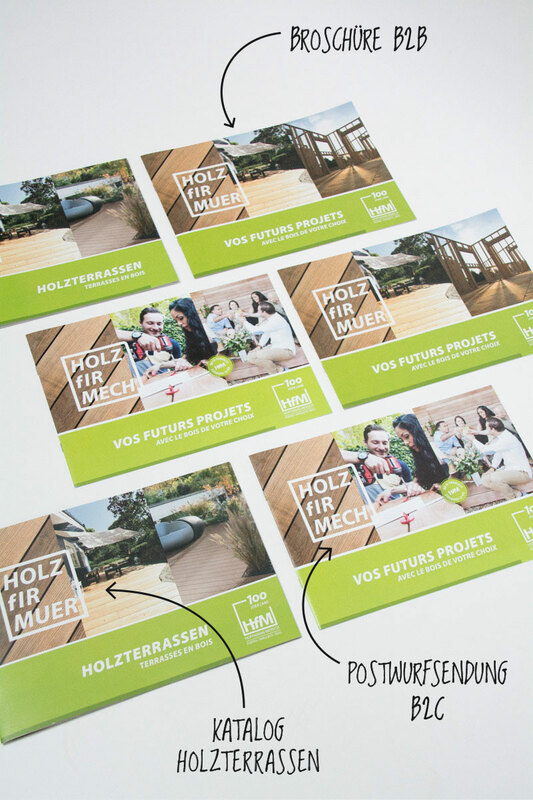 We have developed targeted proposals for visual communication, that are been implemented ever since. 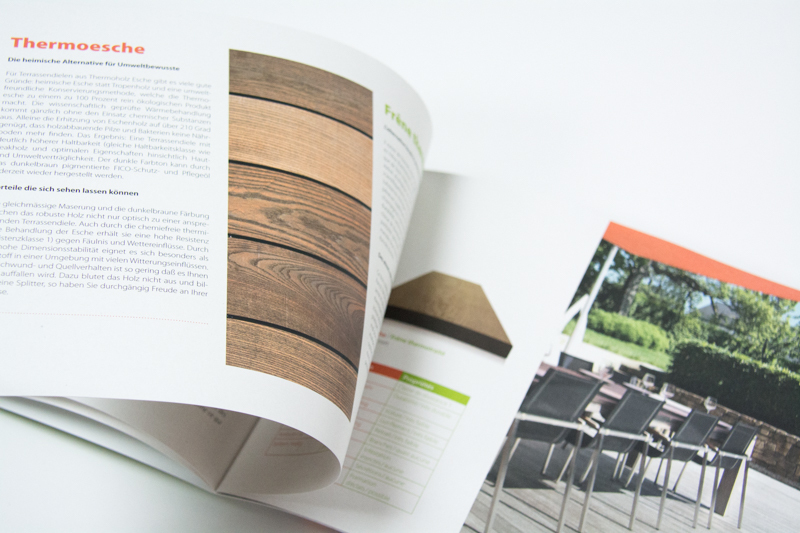 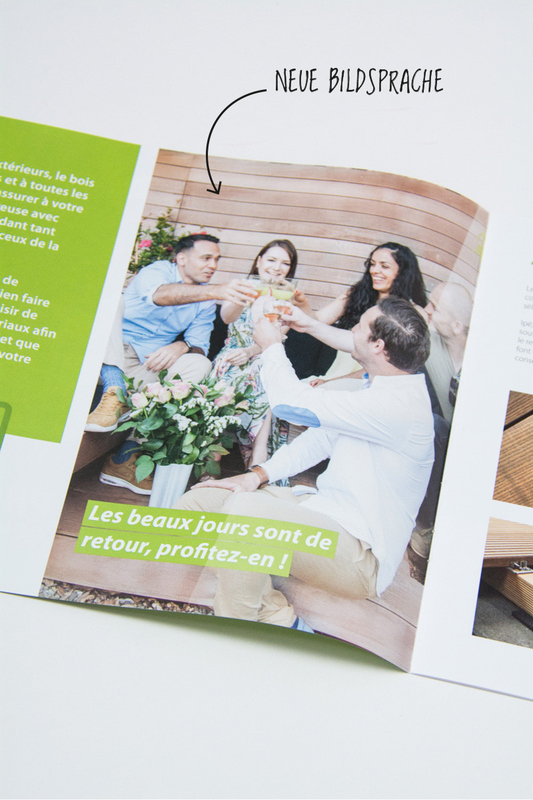 In addition to advertisements in target group and sector-relevant magazines, various publications for B2B and B2C have been published, which we show here. 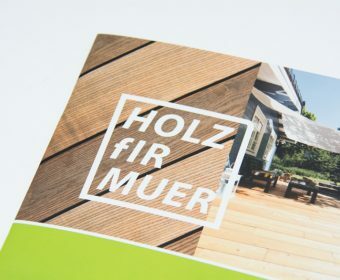 The design is based on the current corporate design, introduced by the company together with the name change in the previous year. 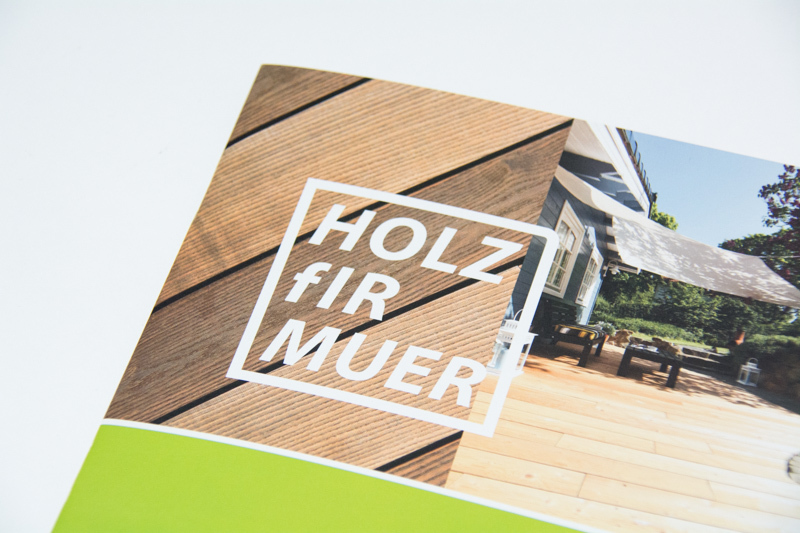 By changing the use of typography, we guarantee a more self-confident, clear style in the appearance. 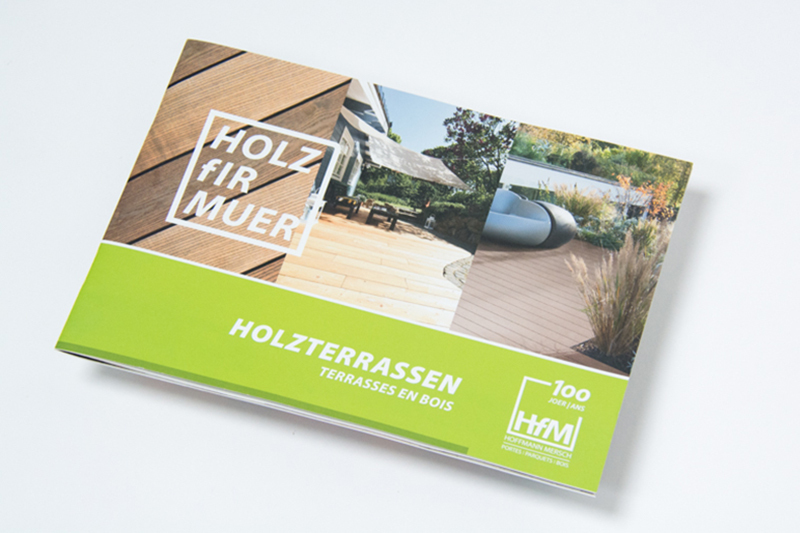 We have intensified our focus on the name “HfM”. 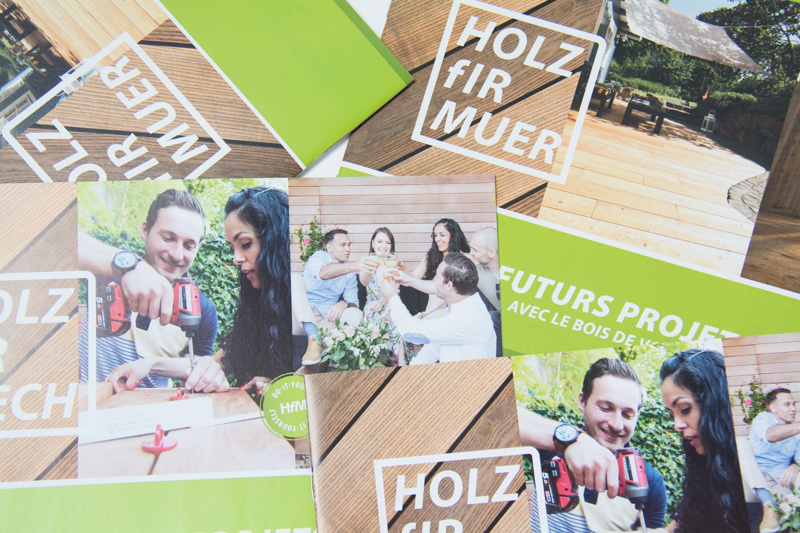 From these three letters, we have created and developed various slogans that function as mindsets for all parties nvolved and position the company future-oriented, professionally and close to the customer. 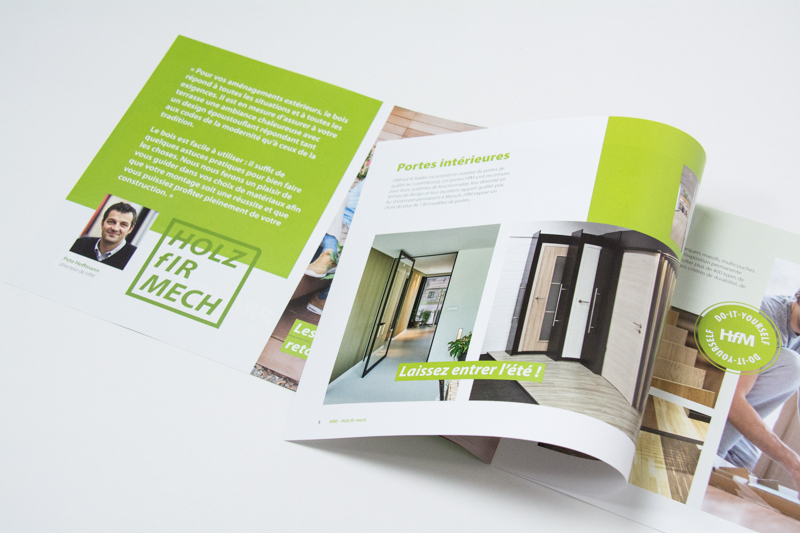 This is also reflected in the new visual language of the brochures. 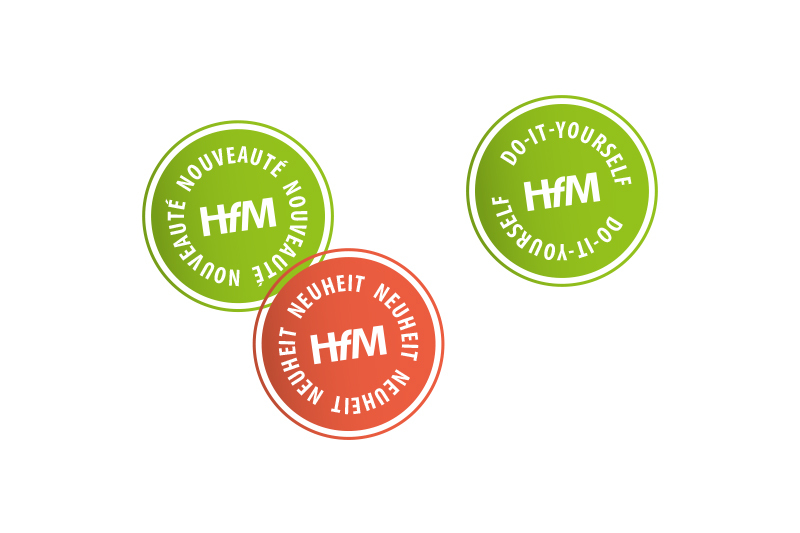 We are especially proud of the special version of the logo for the 100th anniversary of HfM – a story that goes on!